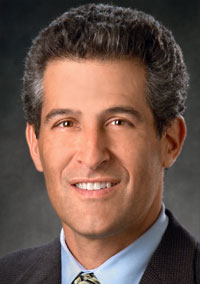 The Robert Wood Johnson Foundation announced Monday that Dr. Richard Besser will be its next president and CEO. Besser, who is currently ABC News' chief health and medical editor, is a former acting head of the Centers for Disease Control and Prevention, where he also was director of the Coordinating Office for Terrorism Preparedness and Emergency Response. As CEO, Besser will continue to advance the $10 billion organization's mission of creating what it calls a “culture of health” in the U.S. so all people, regardless of socio-economic standing, can be healthy. To this end, the organization promotes access to healthy food, healthcare, transportation and child care, among other resources. His appointment is “a signal that public health is really needed to engage a lot of different issues facing the country and world,” said Josh Sharfstein, associate dean for public health practice and training at the Johns Hopkins Bloomberg School of Public Health. The Robert Wood Johnson Foundation could play an important role under the new presidential administration, filling in gaps left by government-provided public-health initiatives. If the Affordable Care Act is dismantled, the Prevention and Public Health Fund that it created would go with it, slashing the CDC's budget by 12%. Besser, 57, will replace Dr. Risa Lavizzo-Mourey, who served as CEO for 14 years. During her time at the helm, the organization dedicated itself to reducing childhood obesity, promoting health equity and coverage, and otherwise facilitating healthy communities. After first joining the CDC in 1991, studying the epidemiology of food-borne diseases in the Epidemic Intelligence Service, Besser then joined the University of California at San Diego as the pediatric residency director. In 1998, he went back to the CDC, serving as an infectious disease epidemiologist. Besser holds a bachelor's degree from Williams College and a medical degree from the University of Pennsylvania. Lavizzo-Mourey will remain president and CEO until sometime in April, when Besser will take over. Dr. Georges Benjamin, executive director of the American Public Health Association, worked with Besser at the CDC.